First off - yes. I know it's Monday. This post was intended to go up yesterday, but we got quite busy and I finally had a chance to start typing it up close to midnight. I really, REALLY like the subject of this week's SIL, and didn't want it to get too buried in case some of my readers come from a link or a blog roll. All 4 of you. Ok - 5. This is a bit of an instant SIL, cuz I acquired it yesterday. See, I have this shed in the backyard. Shed needs a door. Doors can be pretty expensive. I recall this house nearby that has a garage sale going every so often, and he always has old doors available. Well, my wife and I saw the sign out, so we stopped by. And no doors. But, he's a picker, so he had a ton of nice things to check out. There were two binders of baseball cards, but those just held junk wax. Roamed a few more of the tables and he had a stack of mid 70's Wrigley score cards. 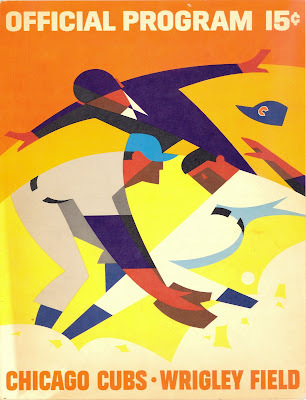 Great designs on the front, but you know my Cubs rule. 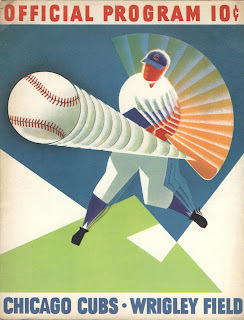 However, there was another group with a bunch of minor league scorecards, so I started digging. And boy did digging pay off. I found 3 scorecards that I purchased. They were all scored, and that's the love of them in my mind, because now I have a piece of history with a star player on it. 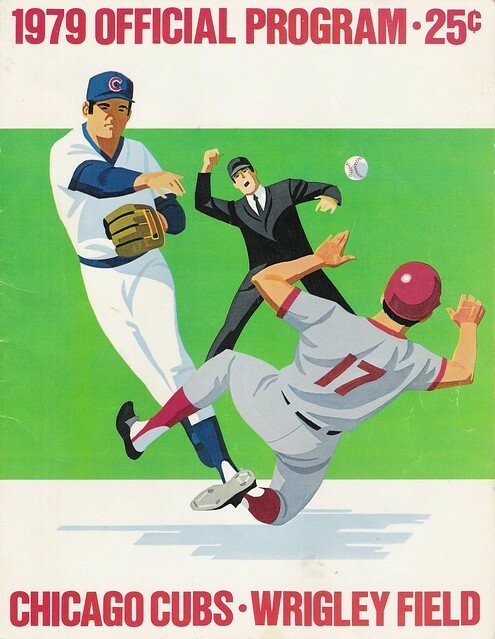 Two of the scorecards are from the late 60's - a 1967 game between the Braves and the Astros, and a 1969 tilt with the Padres versus the Cardinals. But the gem of the three has these partially completed score cards to view. The scans are in page order, so flip through like you were enjoying the program in your hand. 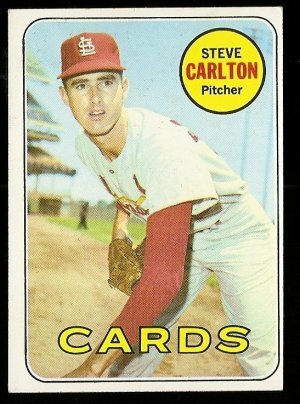 The Padres/Cardinals game has Lou Brock, Curt Flood and this young starting pitcher named Steve Carlton. And the Astros/Braves? Oh, just this kid named Aaron (who went 0-3 with a walk).